This year's Worldwide Knitting in Public event in Glasgow is going to take place on Saturday the 13th of June in the Kelvingrove Rockery, Kelvingrove Park at 1pm. We'll be having a picnic, so bring blankets, water, sunscreen(! ), knitting/crocheting projects and something to nibble on. 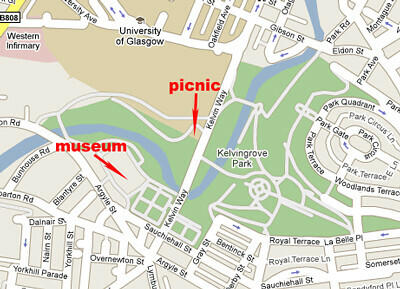 In case of rain, the tentative backup plan is to meet in the main hall of Kelvingrove museum. Non-knitters are encouraged to show up and be assimilated. Newer PostOne Small Step or One Giant Leap?